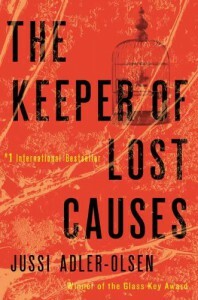 The Keeper of Lost Causes - Jussi Adler-Olsen, Lisa Hartford - review - So Many Books...So Little Time! Wow, what a story! I had figured out "who dunnit" early on but man, it was fun watching Carl and Assad, his trusty assistant, figure it all out. Definitely getting the next one in this series, very good!